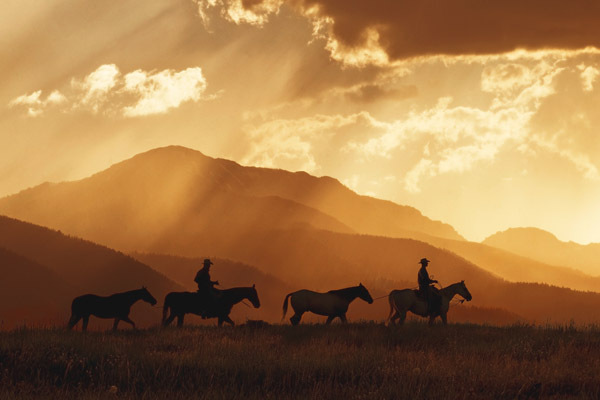 Robert Dawson's amazing images of cowboy life are renowned for their dramatic settings and beautiful light. After weathering another storm on the open plains, these cowboys lead their pack horses across the dark landscape. Brilliant light comes through the lingering storm clouds to bathe the mountains in a golden glow.